Good evening Mr. Reimer and members of the County Council. I am Michael A. Durso, president of the Montgomery County Board of Education. I am here tonight to testify in support of the Board of Education’s Requested FY 2019 Capital Budget and the FY 2019–2024 Capital Improvements Program. I want to begin by thanking the councilmembers for their continuing support for the Montgomery County Public Schools (MCPS) school construction program. 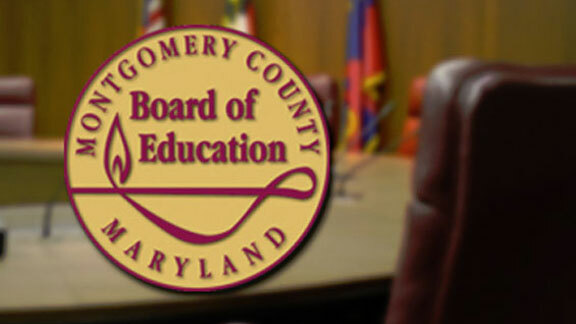 The Board of Education is committed to working with Montgomery County elected officials to address the many facility needs of our school system and to provide our students with the best possible learning environment. This requested Capital Improvements Program (CIP) accomplishes both of these goals. The members of the Board of Education believe, as representatives of our staff, students, and parent community, it is our responsibility to request a CIP that reflects the essential funding to meet our needs but also is mindful of the fiscal limitations of Montgomery County. With that in mind, the Board of Education’s Requested FY 2019 Capital Budget and the FY 2019–2024 Capital Improvements Program totals $1.830 billion, an increase of $86 million more than the previously approved six-year plan. MCPS is grateful for the previous support the county executive has provided for school construction. While we understand the county continues to recover from the fiscal constraints of the past several years, the county executive’s recommendation for the MCPS FY 2019–2024 CIP is $79.1 million less than the Board of Education’s request and only $7.5 million more than the approved amount for the six-year period. This recommendation will have a severe impact on our construction program, which aims to address the overutilization and aging facilities throughout the school system. Should the County Council approve the county executive’s recommendation for the MCPS FY 2019 Capital Budget and the FY 2019–2024 Capital Improvements Program, not only would projects in the out-years be delayed or eliminated, but projects scheduled to begin construction in FY 2019, the first year of the CIP, may need to be delayed as a result of the recommended expenditures being significantly less than the Board of Education’s request—a reduction of $52.9 million in FY 2019 and $50.0 million in FY 2020. The Board of Education’s request included increases in expenditures for some of our vital countywide systemic projects—Heating, Ventilation, and Air-conditioning (HVAC) Replacement; Planned Life-cycle Asset Replacement; and Roof Replacement, which would most likely need to be reduced if the county executive’s recommendation is approved. Our CIP request includes funding for capacity projects to address overutilization as well as capital projects that address both capacity and aging infrastructure. For the 2017–2018 school year, official September 30, 2017, enrollment is 161,546 students, a one-year increase of 2,536 students. Since the 2007–2008 school year, enrollment has increased by 23,801 students. As the enrollment growth continues across the system, the focus of the growth has shifted from the elementary school level to the secondary level, particularly at our high schools. And while many of our capital projects during the past decade included additions and new schools for the elementary school level, we now must be proactive to address the overutilization at many of our secondary schools. With that in mind, the Board of Education’s Requested FY 2019–2024 CIP includes a number of capacity projects to address the overutilization at the secondary level. First, in order to address the overutilization in the Downcounty Consortium and the Walter Johnson Cluster, the Board of Education approved an expansion of Northwood High School to a 2,700-student capacity. This expansion of approximately 1,200 seats will require not only additional classrooms but also a comprehensive upgrade of the facility, including the reconfiguration of existing spaces and upgrades to building systems to accommodate the new student population. Also, to address the capacity needs of the Downcounty Consortium and the Walter Johnson Cluster, the Board of Education approved the reopening of the former Charles W. Woodward High School. This facility is significantly smaller than the proposed 2,700-student capacity, and therefore, the Board of Education approved an addition as the first phase of the project to begin, as soon as feasible, to provide some of the needed capacity and for flexibility during construction. Finally, to ensure sufficient high school capacity in this area, the Board of Education approved an addition at John F. Kennedy High School. Together with the Northwood and Charles W. Woodward high school projects, we will be able to meet the student enrollment needs in this growing area. Since both the Northwood High School addition/facility upgrade project and the reopening of the former Charles W. Woodward High School are significant capital projects, the Board of Education approved that planning begin in FY 2019, and once planning is complete, recommendations will be included in the next full CIP regarding the phasing and completion dates for both high school projects. High school overutilization extends through the mid-county region as well. Therefore, the Board of Education approved a new high school on the Crown site, located in the City of Gaithersburg. As space deficits at multiple mid-county high schools continue to increase, it is important that planning begin for this new facility in FY 2019. Once planning is complete, a recommendation will be included in the next full CIP regarding the phasing and completion date for the opening of this new high school. At the middle school level, the requested CIP includes four approved and two new addition projects. Col. E. Brooke Lee Middle School is one of the four previously approved addition projects and also was programmed for a future revitalization/expansion project. This capacity project will require reconfiguration of existing spaces and building systems to accommodate the higher number of students; therefore, the Board of Education approved an expansion of the scope of the addition project to include these infrastructure and system upgrades while construction is on-site to make better use of fiscal resources and to facilitate the construction experience for the school community. The Board of Education approved addition projects at Parkland and Silver Spring International middle schools. Both schools are overutilized and Silver Spring International Middle School has additional challenges that will be addressed as part of this project. The gymnasiums and locker rooms are located in a separate building, down a steep hill, which impacts the accessibility and administration of the physical education program. Also, the construction of the Purple Line significantly will impact the school site and outdoor program spaces at Silver Spring International Middle School. While the focus of this CIP is at the secondary level, the request does include 11 approved and four new addition projects at the elementary level. The four new addition projects are at Cresthaven, DuFief, Ronald McNair, and Roscoe R. Nix elementary schools. The addition projects for Cresthaven and Roscoe R. Nix elementary schools will address the overutilization at JoAnn Leleck Elementary School at Broad Acres. Enrollment is projected to exceed 800 students and currently has 10 relocatable classrooms. Due to the topography of the site, it will be a challenge to place additional relocatable classrooms there should they become necessary. Similarly, the addition at DuFief Elementary School is to relieve overutilization at Rachel Carson Elementary School. The expansion of DuFief Elementary School to accommodate the students from Rachel Carson Elementary School not only will require additional classrooms, but also reconfiguration of existing spaces and upgrades to building systems to accommodate the new student population. 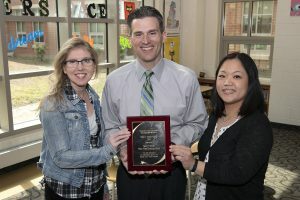 Three new elementary schools, two in the Clarksburg Cluster and one in the Richard Montgomery Cluster, complete the approved capacity projects at the elementary school level. The capacity projects included in the Board of Education’s Requested FY 2019 Capital Budget and the FY 2019–2024 Capital Improvements Program address the most critical space shortages and at sites that present challenges when facing increased capacity. However, we know there are other communities that are confronted with student enrollment and capacity challenges. We will continue to monitor student enrollment closely and work to manage capacity pressures identified at specific schools. If space deficits continue and trends change in any given area, we will consider a capital project in a future CIP if it is determined to be the best long-term solution. With respect to countywide projects, the Board of Education’s Requested FY 2019 Capital Budget and the FY 2019–2024 Capital Improvements Program will address systemwide needs by increasing systemic projects, such as Roof Replacement and Planned Life-cycle Asset Replacement. The Board of Education approved a substantial increase to one countywide project—HVAC Replacement—to address the backlog of upgrades and/or replacements of HVAC systems that are beyond their expected service life. It is vital that MCPS has the necessary funding to address our aging infrastructure. MCPS is engaged in several efforts to reposition the CIP and facility planning processes within the context of the changing student enrollment, land use, and population dynamics that have become the “new normal” in Montgomery County. A primary focus of this work is to ensure that the CIP addresses immediate future needs and is sufficiently flexible to respond appropriately when conditions change. A key element of our facility planning processes is our student enrollment forecasting. Our challenge is to tailor the countywide projection model to the variances that exist among the regions and neighborhoods within Montgomery County. MCPS continues to work with our agency partners and contracted external consultants to develop a refined approach that may increase the ability to understand the impact of various student enrollment factors closer to the school level. A result of this work may be that updated student enrollment projections are issued later this year and at regular intervals as part of ongoing planning. It is not anticipated that the updated student enrollment projections will significantly affect the Board of Education’s requested CIP project schedule; however, an iterative process to understand our student enrollment dynamics for the several years ahead offers an opportunity to closely monitor changing conditions and adjust our out-year project planning where appropriate. MCPS continues to review our revitalization/expansion program to develop a multi-variable approach to determine the relative priority of large-scale renovations, possibly including program and capacity considerations. The Board of Education received two presentations on the progress of this review and a proposal for a revised method to assess facilities and prioritize major capital projects. As MCPS staff have worked through the evaluation of the previous process and factors that could be used in a new process, it is clear that the need for flexibility with respect to these major capital projects is imperative, as is the need to include instructional program priorities and the impact of overutilization. It is intended that this new approach will eliminate the static and lengthy project queue that has been in place for many years. 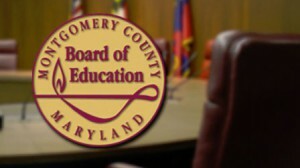 Therefore, the Board of Education will conduct a formal review process with respect to the two primary policies that guide the long-range educational facility planning framework: Policy FAA, Long-range Educational Facilities Planning, and Policy FKB, Sustaining and Modernizing Montgomery County Public Schools (MCPS) Facilities. This review will allow for community engagement through formal public comments on the two policies. Once the Board of Education completes its process, the superintendent of schools will review MCPS Regulation FAA-RA, Long-range Educational Facilities Planning, and any other regulations that are affected. Currently, there are five projects—three elementary schools, one middle school, and one high school—that are included in the revitalization/expansion project as part of the approved CIP. The Board of Education approved the continued funding for these projects: Luxmanor and Potomac elementary schools, Maryvale Elementary School/Carl Sandburg Learning Center, Tilden Middle School/Rock Terrace School, and Seneca Valley High School. The Board of Education also approved a new project, “Major Capital Projects,” which at this time is intended to create fiscal room in the CIP in anticipation of programming future projects that will be determined through the revised analysis and capital planning processes once the Board of Education completes its policy work. Finally, we know that the state must provide its fair share of school construction funding to meet its obligation to the students of Montgomery County. Our revised FY 2019 State Aid request is $118.2 million. This figure is based on current eligibility of projects approved by the County Council in May 2017. The Board of Education, the superintendent of schools, and Montgomery County officials must continue to work together to make a compelling case to our state leaders to increase state construction funding and provide Montgomery County with its fair share of the statewide allocation for our capital projects. 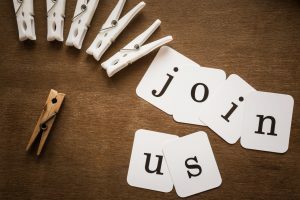 The Board of Education looks forward to your consideration of our request and appreciates the continuing support of the County Council and the county executive for our capital needs. We urge you to invest in the future of our county by fully funding our budget as requested. We know that our six-year CIP request is considerable, but we believe it is necessary to address the needs of our schools. We believe that the greater Montgomery County community understands that the quality of life in the county is highly correlated to the success of our schools.